H and H Feed, LLC focuses on providing the very best soy free, corn free, non-GMO feed fortified with organic, all natural Fertrell vitamins and minerals. It is a breath of fresh air among the rise of genetically modified grains and the use of soy as a cheap, genetically modified filler protein in many animal rations (not in H and H Feed!). Our high quality feeds include minimally processed non-GMO grains with all natural seeds and real animal and plant proteins for a wholesome and natural old fashioned feed your chickens and livestock will thrive upon. Plus H and H Feed has always featured zero added pesticides, medications, preservatives, or hormones. 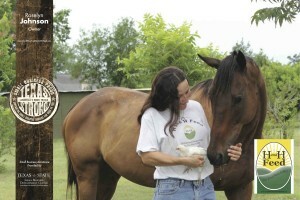 In 2012 Roselyn Johnson purchased H and H Feed and began to expand the company. The first order of business was to run the analysis and decide that enhancing the feed with Fertrell Organic vitamins and minerals http://www.fertrell.com/ was economically feasible while keeping the price point affordable for many folks. As the feed recipe was great (and remains unchanged) and no other ingredient changes were needed Roselyn began looking at the texture and formulation of H and H Feed. Having used H and H Feed exclusively since adopting Texas as her home she was keen on just one other improvement. With the advice and experience of Mark Drewes, our mill President, H and H Old Fashioned Chicken Feed was transformed into a unique mix of protein pellets and loose grains/seeds. This one change reduced waste, increased feed conversion, and enhanced nutrition by minimizing the amount of protein and vitamin powder lost on the ground. It also allowed the feed to easily be used in any type of feeder as it “flowed” due to increased chunkiness and clumping was greatly reduced. Retailers started calling and sales rose. Over the course of the next six months H and H Feed more than tripled, and consumer demand for H and H Feeds soared. It rapidly entered the San Antonio and Houston markets. The mail order side of the company allowed folks in other parts of the United States to reap the benefits of feeding their chickens and livestock H and H Feed. In 2013 H and H Feed began adding additional feed lines including a 100% pelleted chicken feed and also a pelleted goat feed. In 2014 Rabbit Feed was introduced then H and H Cattle/Calf Grower, Swine Grower, and finally H and H Naturally Right Horse Feed. The winning combination of soy free, corn free, non-GMO, all natural Fertrell fortification, a unique pellet and grain/seed mixture, high quality ingredients, and a philosophy of keeping H and H Feed affordable so that more folks (and animals) could benefit from it aided the expansion.